A great African proverb says, "If you want to go fast, go alone; if you want to go far, go together." It's going to take real bipartisanship to get our nation's fiscal house in order and to put people back to work again. I, along with my Democratic colleagues, stand ready to work with Republicans to ensure we get moving. Enough with the inaction, enough with the inflammatory rhetoric, and enough with the partisan gamesmanship. The American people have spoken. It's time to listen and act. While the issue then was jobs and a sluggish economy, those words still resonate today, four years and an election later, as the ranking member of the Committee on Oversight and Government Reform attempts to once again convince his Republican colleagues who want to go fast -- and furious -- and alone on the Benghazi investigation, to "go far, go together" by working in a non-partisan way and by considering "the truth and nothing but the truth." 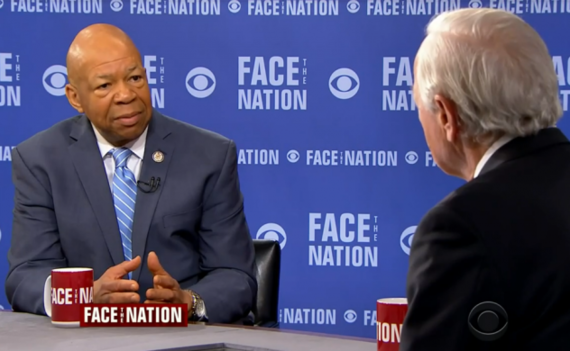 Of course we are talking about Democratic Representative Elijah Cummings, the 64-year-old Maryland Democrat who led an outnumbered "let's-have-some-sanity" Democratic team to victory -- if there is such a thing in a political witch-hunt -- during the most recent GOP hearing on Hillary Clinton's perceived Benghazi performance. Cummings' passionate, earnest and stellar performance earned him the highest praise from fellow lawmakers and Democrats. "At the end of the long day, Democrats credited Cummings with successfully keeping Clinton above the political fray in what many believe could be a turning point for her campaign," says The Hill in a weekend column, adding that, at the hearing, "Cummings showcased the influence he wields in the House as the last line of defense between Republicans and the front-runner for the Democratic presidential nomination." But also at the end of the long day, speculation has intensified over whether Cummings will run for the Senate seat "soon to be vacated by Democratic Sen. Barbara Mikulski who will not seek reelection in 2016 after nearly 30 years in office," according to The Hill. In his column, Jonathan Easley makes it clear that Cummings, "the first African-American Speaker Pro-Tempore in the state House of Delegates before moving on to his nearly two-decades-long career in the U.S. House of Representatives," is eminently qualified to fill the Maryland Senate seat and that his Benghazi panel performance is just the latest example of Cummings "rising to meet a high-stakes political moment when the lights shined brightest." But what are his chances? A recent , Oct. 8-11, 2015, Washington Post-University of Maryland poll, before Cummings' performance at the Benghazi hearing found that Cummings, if he entered the Senate race, would hold a double-digit lead over the two Democratic primary contenders, Reps. Donna Edwards and Chris Van Hollen. 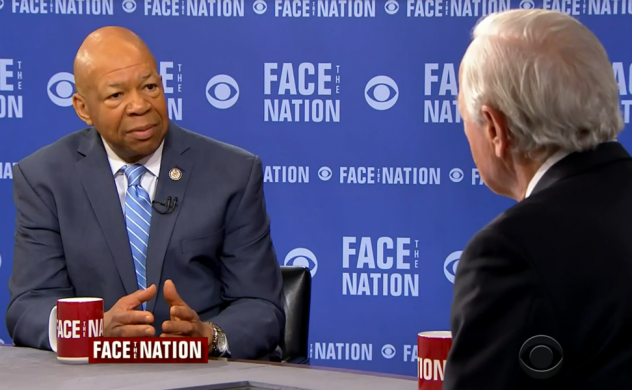 Cummings' early strength stems from "widespread name recognition in his hometown of Baltimore, and the deep reservoir of respect he commands among the Democratic establishment," says Easley. Interestingly, many Democrats would not want Cummings to run for the Senate seat. It is exactly because of his liberal commitment and leadership capabilities that they want Cummings to remain in the House. Easley observes, "Democrats view him as the indispensable and irreplaceable lynchpin of the House Oversight and Government Reform Committee, where liberals expect the ranking member will be tasked with defending the legacies of Clinton and Obama for years to come." Weighing both Cummings' roles in the House and aspirations for the Senate, Sen. Dianne Feinstein (D-Calif.), told reporters, according to The Hill, "When [Cummings] came on [to the committee] my spirits just lifted because he was such a breath of fresh air... I really felt that there was a presence that was important on that committee." But she adds, "Whatever he does, I would be there to help him." I am sure the people in Maryland will also weigh their representative's significant contributions to their state and to the nation as the ranking member of the powerful Committee on Oversight and Government Reform against the even more influential, national role he would certainly have as a U.S. senator. Regardless of his decision, we thank Representative Elijah Cummings for his 35 years of dedicated service to his state and to his country and wish him well and success with whatever he decides. Lead photo: Courtesy Congressman Cummings' Congressional web site.